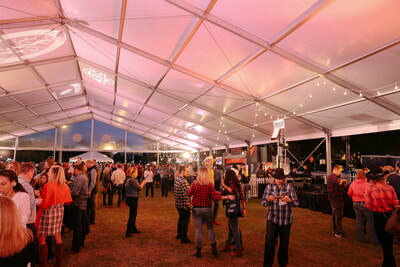 We had so much fun at Cows 'n Cabs last night! 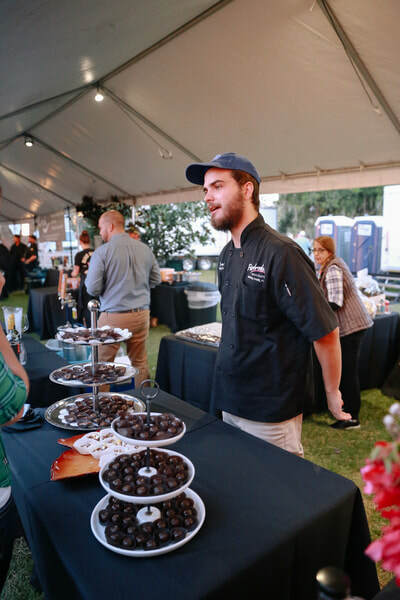 We were among more than 25 of the city’s best local restaurants, benefiting Orlando After-School All-Stars and ELEVATE Orlando. 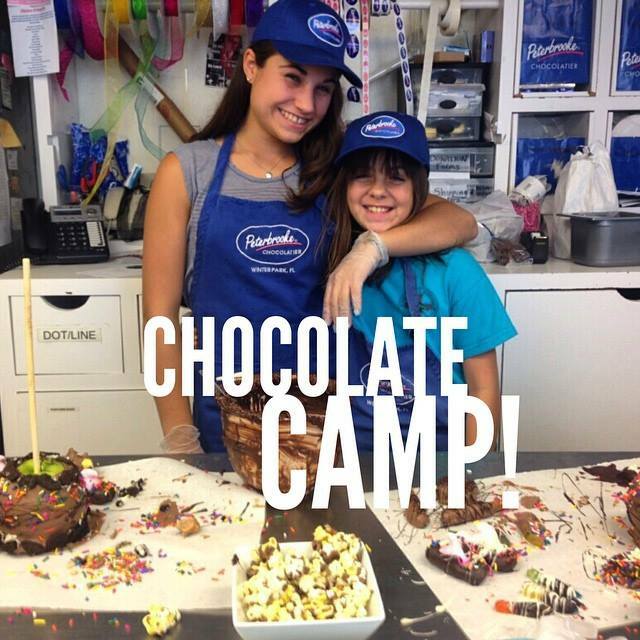 We're now accepting reservations for Chocolatier Day Camp! 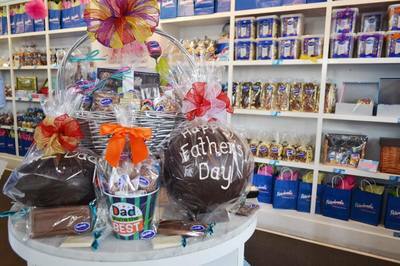 ​There are two versions -- Chocolate Art Camp (Tuesdays) and Chocolatier Camp (Wednesdays and Thursdays). Session dates: Tuesday, Wednesday, or Thursday, June 5th through August 9th. 11am-1:30pm. 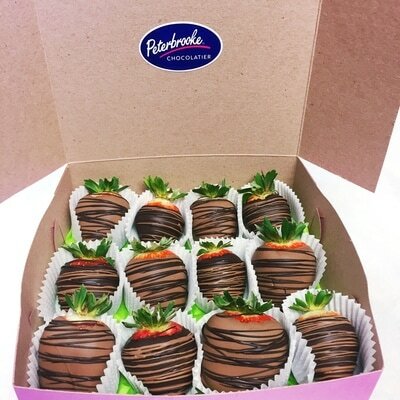 Cost is $49.50; lunch, drinks and dessert are included. 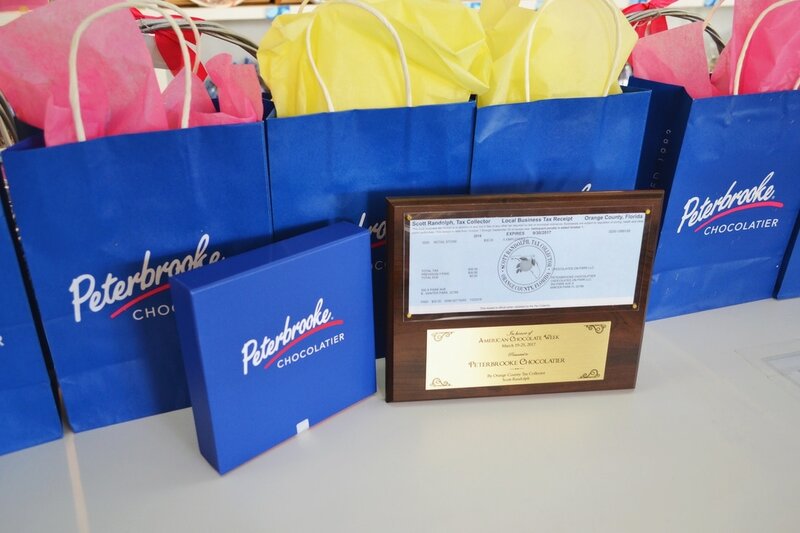 Each person takes home the chocolates they make in camp. Fun for all ages. Please call 407-644-3200 or email winterpark@peterbrooke.com for details and reservations. BEST OF ORLANDO STAFF APPRECIATION/CELEBRATION PARTY! we were named BEST CHOCOLATE SHOP IN ORLANDO BY ORLANDO MAGAZINE! 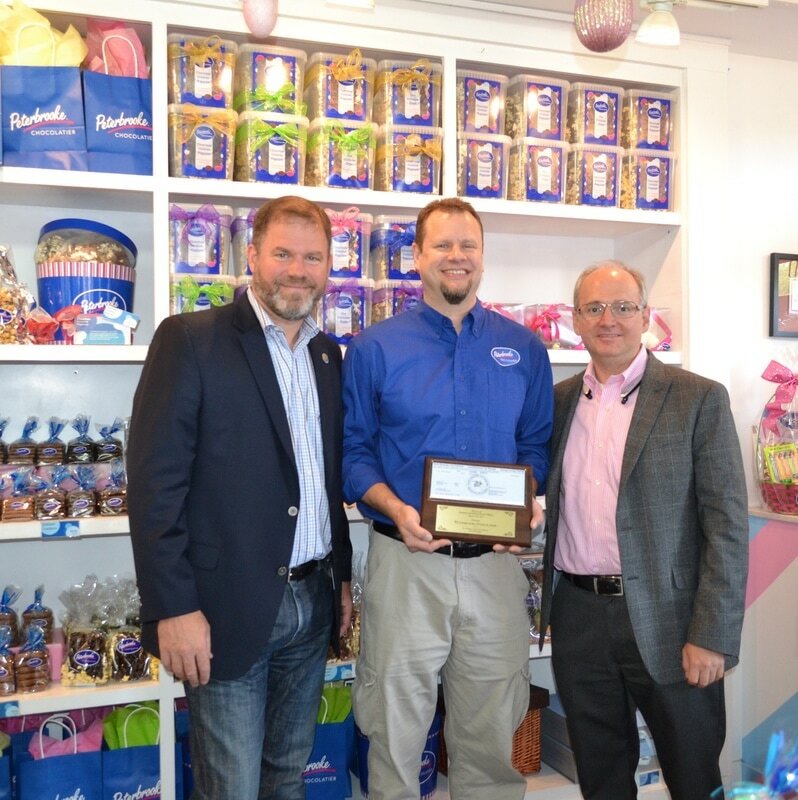 We are overjoyed that we have been voted the Best In Orlando! 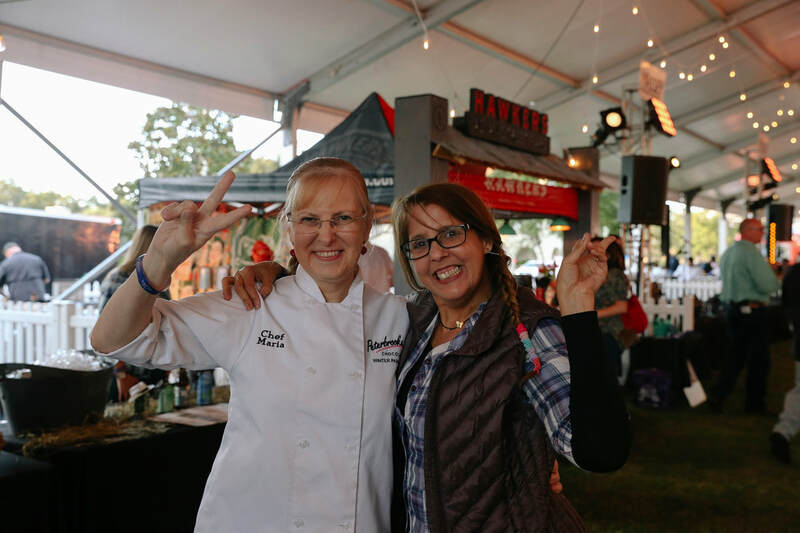 We are proud to be alongside some of Orlando's best restaurants and thank everyone who voted for us! We celebrated at one of our very favorite places - Bosphorous! 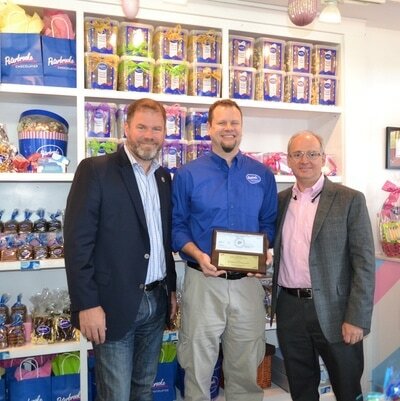 We have known the owners for over 25 years and they are the most wonderful people and neighbors. 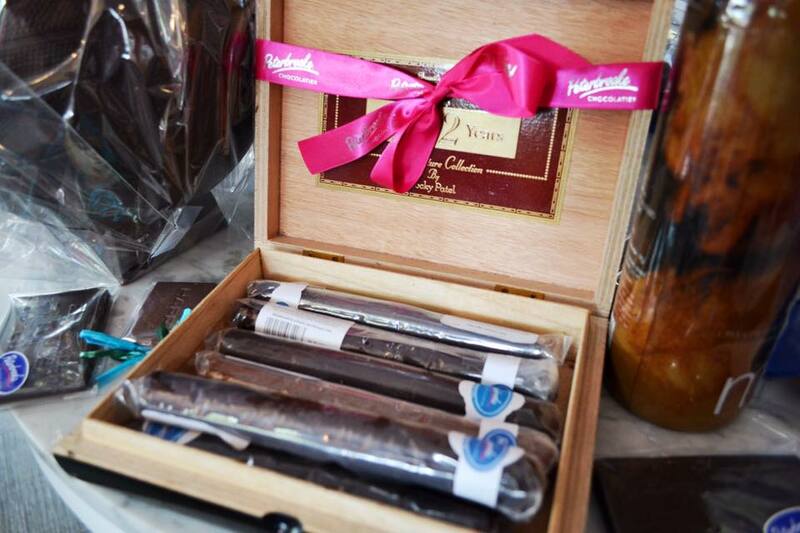 They use our dark chocolate in their Chocolate Baklava dessert, and serve our Pistachio gelato for dessert also! Talk about community! See some pictures from our fun evening, spent laughing, enjoying great company, and eating tons of delicious food! If you've never been to Bosphorous, put them on your Must-Eat list. Join Us For Gelato HAPPY HOUR! Join us for Gelato Happy Hour at Peterbrooke! Summer is officially here and there is no better way to beat the summer heat than with creamy gelato! We have over 18 flavors of authentic Italian Gelato for you to choose from, including Strawberry Chocolate Chunk, Cafe Mocha, Sea Salt Caramel, and one of our most popular flavors Honey Lavender! This Tuesday (tomorrow) from 4-7pm we will be offering a deal you can't miss! We can't wait to see you! Which flavor will you choose? Our Kitchen Has Been Busy! 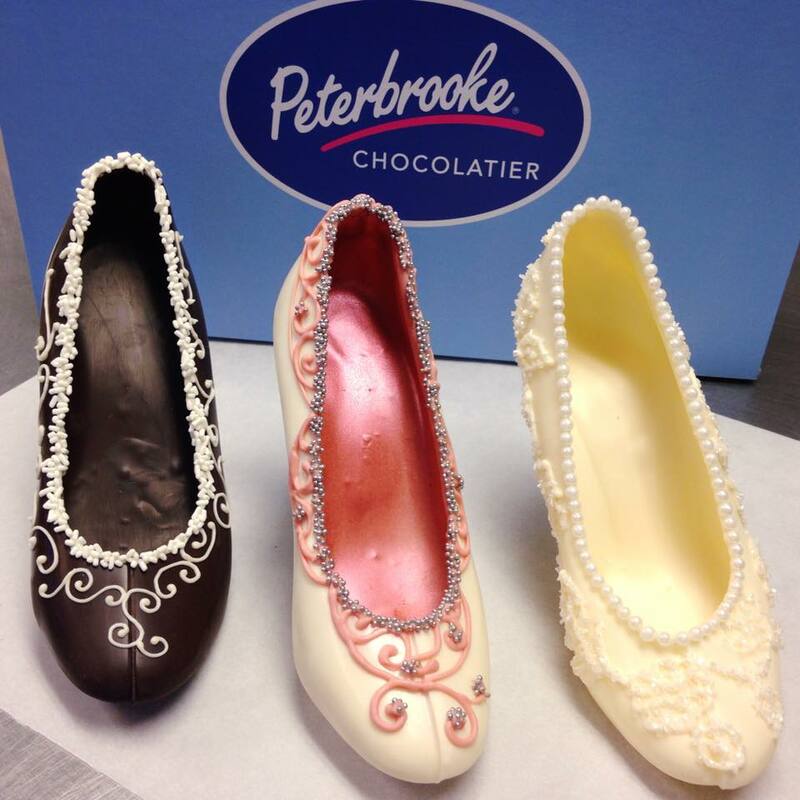 Here at Peterbrooke Winter Park we are always thinking of new and inventive ways to bring you delectable desserts! From our jaw-dropping Bubble Waffles to dipping pretty much anything you could dream of in our signature chocolate, to our 2 newest items: Dark Chocolate Blossom Bars and Macarons! Not only are these beauties beautiful to look at, they are also good for you. Dark chocolate has many antioxidants - even more than green tea! In addition, the edible Violas we delicately place on the bars are well known for their cleansing properties. A dairy-free option is available in our 72% Super Dark Chocolate Blossom Bars! Chef Maria and Chef Jackie attended a special macaron class in New York and have been busy perfecting a recipe all their own! 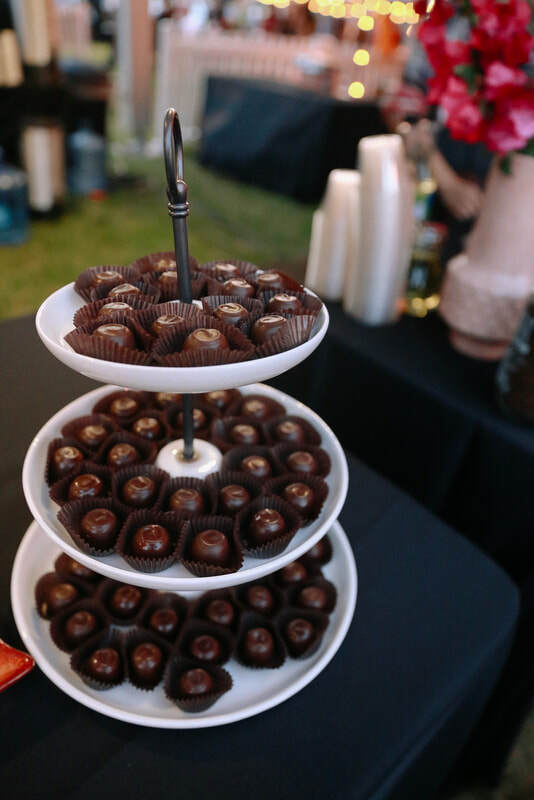 Carefully selected ingredients and meticulous execution result in these decadent little pieces of heaven! What better treat to bring to a special person than a box of macarons? Don't Forget About Dad This Father's Day! 4 Gift Ideas To Celebrate Mom! 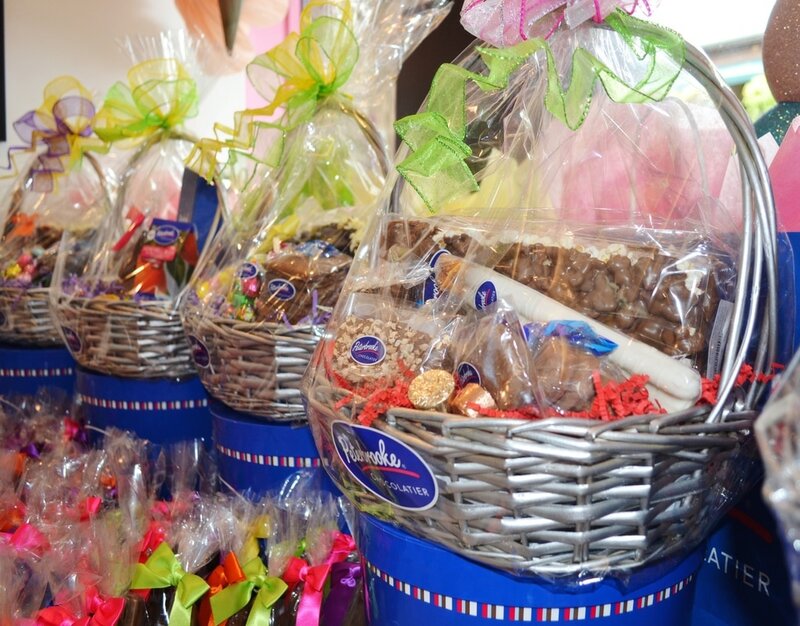 May 14th is Mother's Day, and what better way to show mom how much you appreciate her than with chocolate! 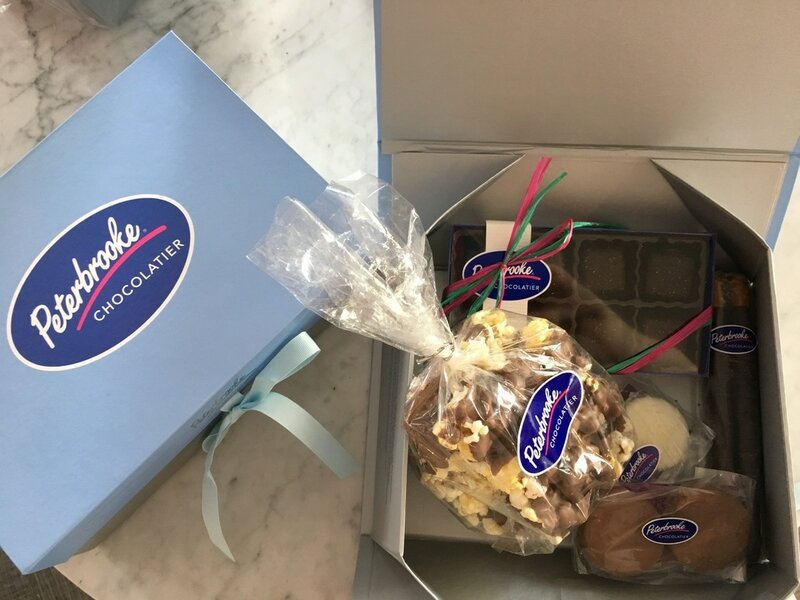 From gourmet chocolate dipped berries, hand dipped caramel and chocolate apples, to fan favorite chocolate covered popcorn, there is no sweeter way to say "I Love You"! 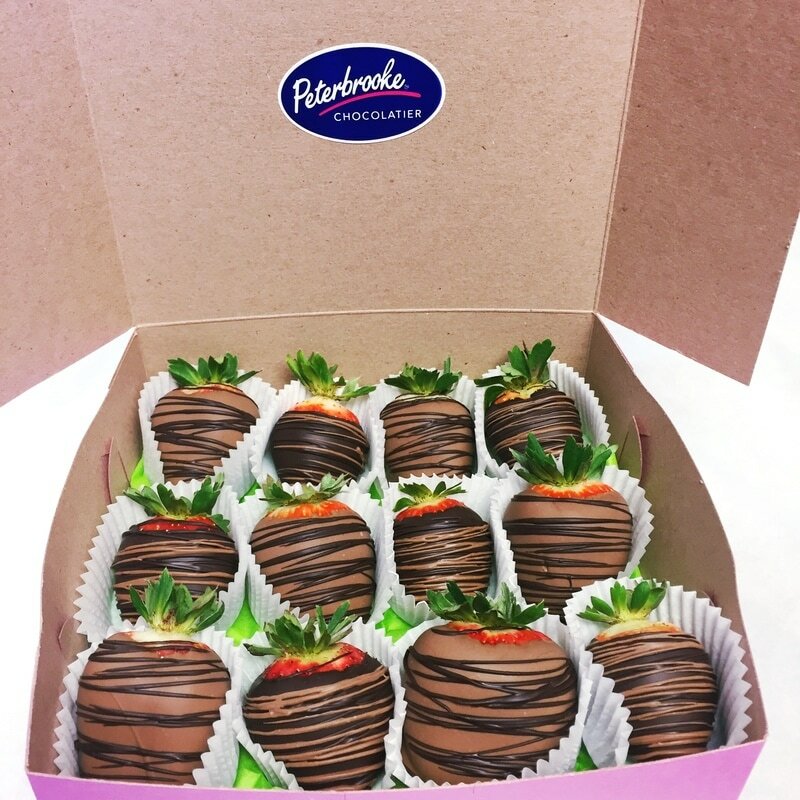 Our chocolate covered strawberries are a guaranteed hit with every mom! They are available in white, milk, 64% dark, 72% dark, and sugar-free chocolate! 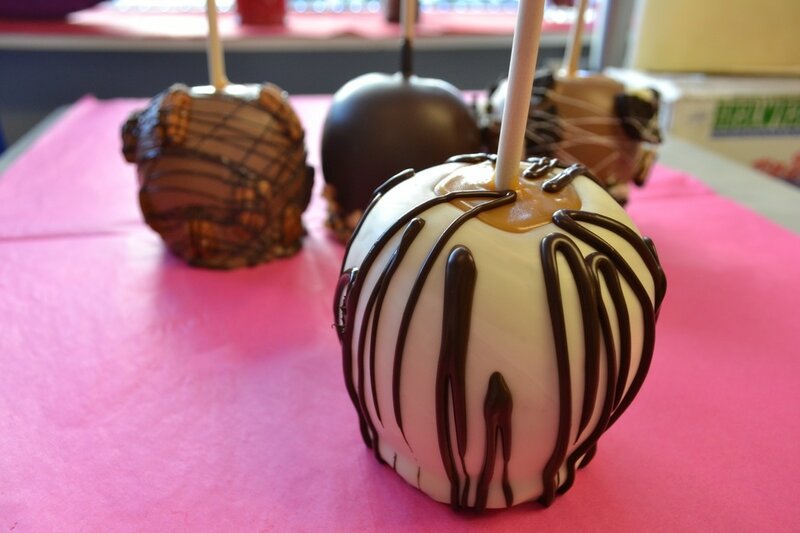 Before coating our apples in your preferred chocolate, we dip them in a thick layer of caramel - our own special recipe! They can then be topped with nuts, Oreo cookie pieces, chocolate drizzles, or sprinkles! A Jami Shoo is a delicious yet stylish gift that any special lady would love to receive! Each decoration is carefully placed on individually by hand! 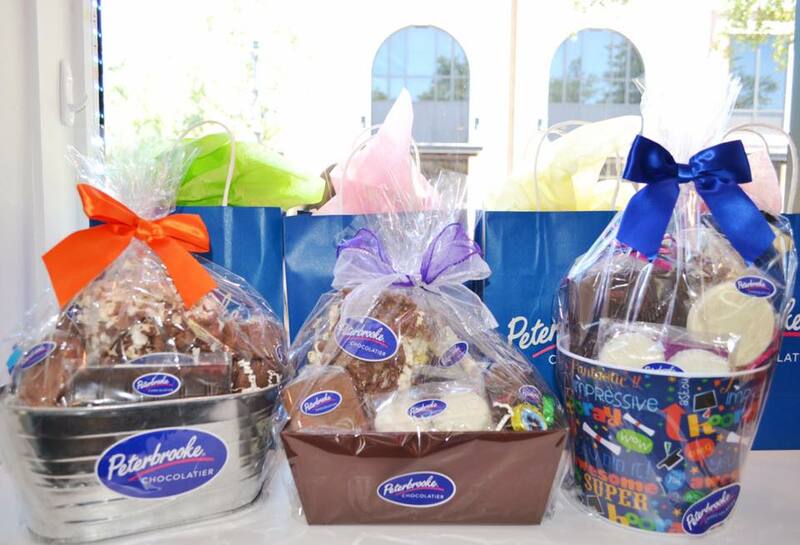 We will have beautiful gift boxes and gift baskets ready to be purchased, or we will be happy to help you customize one! 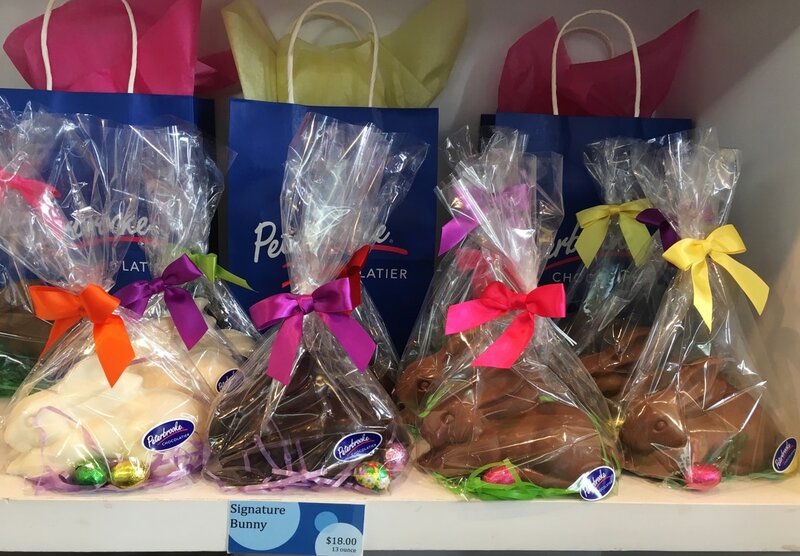 There is so much happening at Peterbrooke Winter Park in preparation for Easter! We have been busy making all sorts of beautiful gift baskets and can also custom make any kind of Easter basket you could dream of! From white, milk, 64% dark, 72% dark (vegan) to sugar-free chocolate, we have got something for everyone! 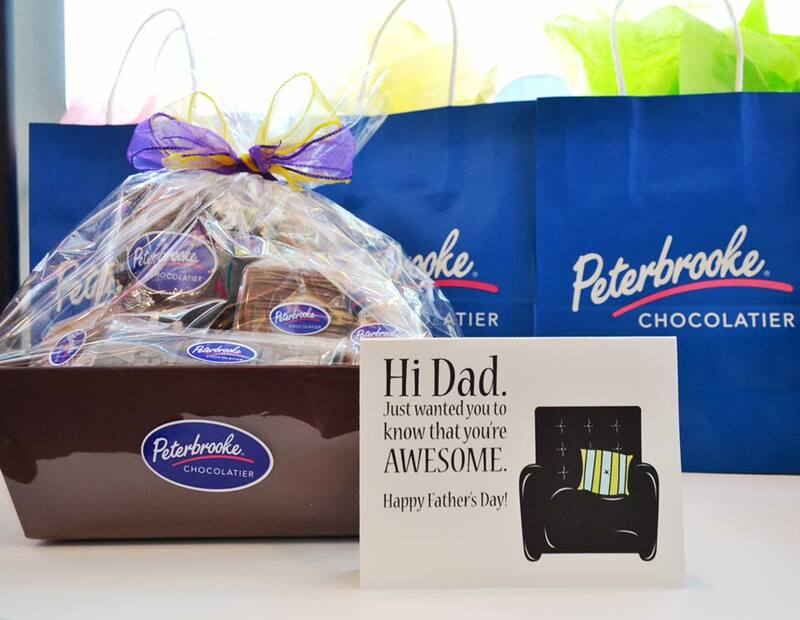 Call us at 407-644-3200 or email us at winterpark@peterbrooke.com to place your order! 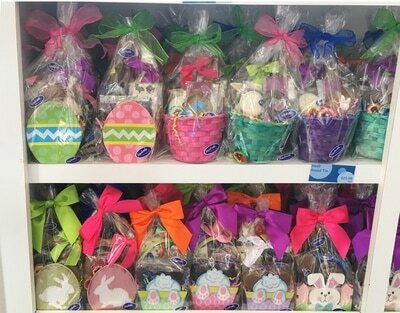 We are also hosting complimentary Easter Bunny Photos this weekend, Saturday April 8th and Sunday April 9th from 12-4pm. Guests of all ages are welcome! Easter won't be complete without a picture with the Easter Bunny! Last but not least, we are also donating 100 eggs to the 63rd Annual Winter Park Easter Egg Hunt taking place Saturday, April 15th at 10am in Central Park. Children up to 10 years of age are welcome, and children with special needs are also encouraged to attend. 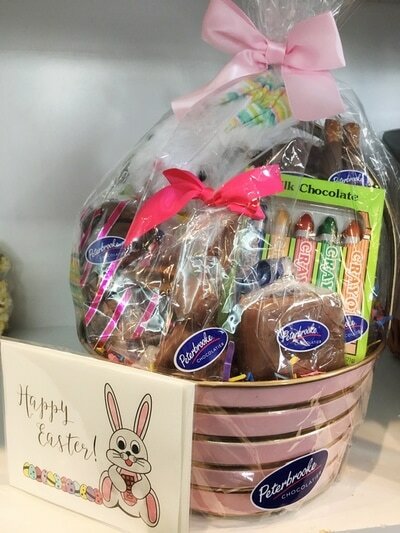 Children are asked to please bring their own Easter basket. 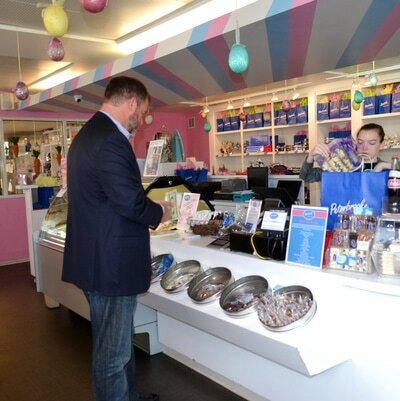 Each one of our eggs will contain a raffle ticket inside. 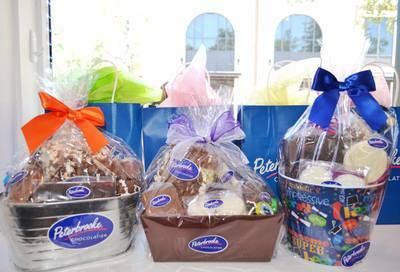 There are 10 main prizes with the grand prize being a chocolate party for up to 10 people, a $220 value! Even if they don't win a ticket, everyone who turns in a ticket will receive a foiled chocolate! Such an exciting morning! 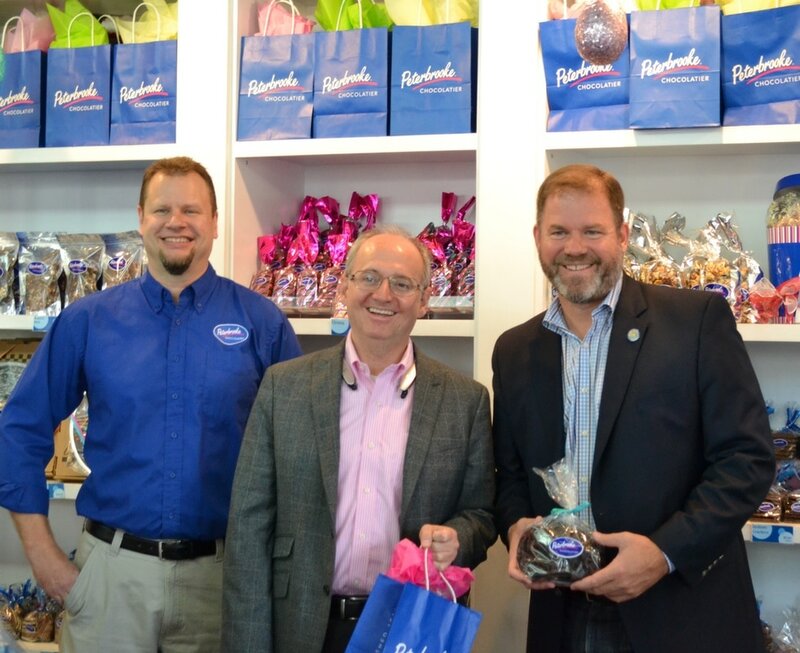 In celebration of National Chocolate Week, Winter Park Mayor Steve Leary joined Orange County Tax Collector Scott Randolph to visit our shop and they presented owner Kevin Wray with his business tax receipt.